F1 News How much of every Grand Prix do you watch? Discussion about: How much of every Grand Prix do you watch? I was talking to a couple of pals about the Bahrain Grand Prix on Sunday. Independently of each other, both said they only ever watched the first two or three laps of any race, then went away to do something else, coming back only to watch the conclusion. Why? Because they both assumed that not enough would happen in the intervening period to hold their attention. They both count themselves fans of F1 but after the start they felt they knew the way it would go, so turned over. In total they probably watched 30 minutes of every Grand Prix. This is reflected in viewing figures which can peak at over two million higher than the average across the whole race, suggesting many just tune to see the start and end. F1 is a strange sport because it is interesting enough to attract a big audience, but boring enough to lose it for a while. Surely this needs addressing. There’s an obvious answer staring us in the face. All Grand Prix apart from Monaco are 300km long, plus one lap and no race can last longer than two hours unless there are interruptions. My question is this; are races just too long? Wouldn’t they be more exciting if they were over a much shorter distance and were time limited to, say, 40 minutes maximum? Drivers would need to make their moves much more urgently and this may lead to more overtaking and the kind of actual racing that most viewers really want to see. The distance of the race seems to have been set in order to create a 90-minute to two-hour product, similar in length to a football match. That’s all fine and dandy but if my two friends are in any way typical – and comments below articles on this week’s race suggest they are – then it simply isn’t appropriate any more. A few years ago Luca Di Montezemolo, the Ferrari CEO, publicly said that F1 needs to appeal more to the younger generation and the way to do this was with shorter races. 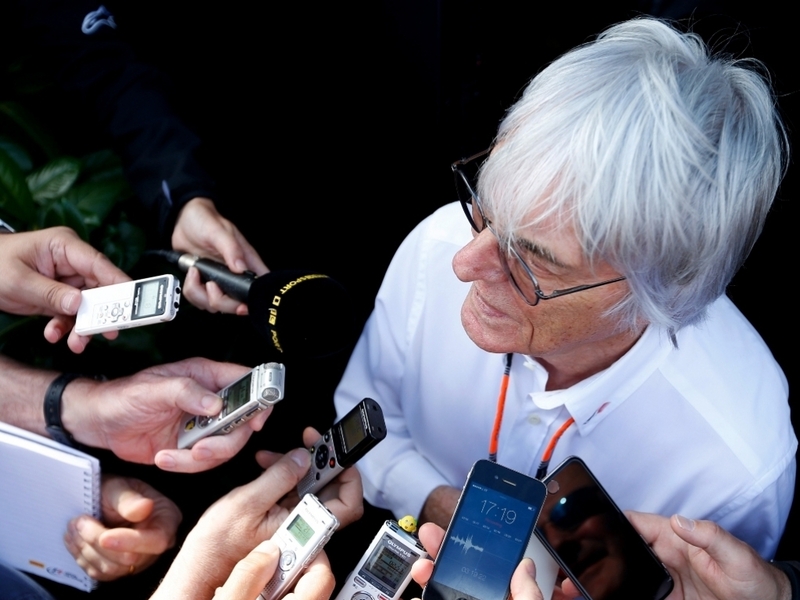 In 2016 Bernie Ecclestone said the sport should replace its traditional Grand Prix format with two shorter races, also to appeal to younger fans. That feels like a very persuasive argument. We know our attention spans are shorter these days – not just kids, but all of us – as we spend hours flicking at our phones in search of a brief distraction from thoughts of our own mortality. While a couple of shorter races per event may be anathema to some who see a race as a prolonged tactical, physical and psychological battle, it is not hard to see the attraction of them. Personally, I think it’d be a much more attractive product if there were a few long races as now, some double bills that are 40 minutes maximum each and then some which would be a series of six ‘sprints’ which might just be four of five laps. This also offers the opportunity to mix and match different types of races. Across a whole season it would result in a far more varied and exciting competition. Different disciplines may well suit some cars and some drivers more than others and thus make the overall winner harder to call. As long as the event itself is long enough to justify fans turning up and paying their entrance money, I can’t see anyone turning their noses up at it. Quite the reverse. The debate about how exciting F1 is or isn’t has raged for many years, with the lack of overtaking being the main beef from those who feel it is all too often boringly processional. While various attempts have been made to try and address this, it clearly isn’t really working if self-professed F1 fans are so regularly walking away from, at the very least, the middle third of every race. It therefore seems entirely likely that there is a bigger and more committed audience to be gained by adding more variety to race day. The two-hour length is entirely arbitrary and there is no need to adhere to it if alternatives can be tried and proven better at providing excitement and entertainment. To doggedly cling on to the 300km, two-hour format when it actually bores a large section of the audience seems wilfully stupid.